With over 100 guests in attendance, seven faculties of color in STEM gathered to provide support and advice for trainees of color on how best to respond to indirect and direct forms of racially charged comments in professional spaces. The panelists included Carlos Aguilar (Ph.D.), Assistant Professor in the Department of Biomedical Engineering, David Brown (M.D. ), Associate Vice President and Dean for Health, Equity and Inclusion and Medical Director of the Pediatric Otolaryngology Ambulatory Care Unit, Maria Castro (Ph.D.), Professor in the Departments of Neurosurgery and Cell and Developmental Biology, Oveta Fuller (Ph.D.), Associate Professor in the Department of Microbiology and Immunology, Kevin Jones (Ph.D.), Assistant Professor in the Department of Pharmacology, Sofia Merajver (M.D., Ph.D.), Professor in the Departments of Epidemiology and Internal Medicine and Director of the Breast and Ovarian Cancer Risk and Evaluation Program, and Susan Woolford (M.D., M.P.H), Assistant Professor in the Department of Pediatrics and Communicable Diseases and Medical Director of the Pediatric Comprehensive Weight Management Center. Chiamaka Ukachukwu, a first year Ph.D. student in the Program in Biomedical Sciences (PIBS), came up with the idea for the Respond in Power event in response to an unsettling experience that she had with a faculty member. After spending two days speaking to students, faculty, and staff in confidence about how best to respond, she came to several important realizations: 1) she was expending an unjust amount of time and energy navigating and processing this encounter instead of focusing on her education and research, 2) her experience was not unique among underrepresented minority (URM) trainees in STEM, and 3) URM trainees, specifically, and the entire scientific community would benefit from an open and honest conversation about micro- and macroaggressions of this nature. It was only logical to invite faculty of color to share their experiences and to advise and empower the URM trainees and community to respond with dignity and strength in such situations. Ms. Ukachukwu’s proposed event was supported by Reginald Beasely, Admissions and Diversity Coordinator in the Office of Graduate and Postdoctoral Studies (OGPS) and the student-led OGPS Diversity Equity and Inclusion (DEI) Task Force. The event began with an introduction to the OGPS DEI Task Force by the inaugural members Filipe Cerqueira (Ph.D. student, Microbiology and Immunology), Lindy Jensen (Ph.D. student, Molecular and Integrative Physiology), and Kaylin White (Ph.D. student, Pharmacology), who shaped the task force into a resource for DEI programming on campus. They presented data showing that underrepresented minorities felt unwelcomed and were unsupported in graduate STEM programs across the nation, discussed the task force’s mission to create diverse, equitable, and inclusive spaces on campus and to serve as a resource for students with DEI event proposals, and that everyone has an obligation in creating an atmosphere that supports trainees from all backgrounds. Event co-chairs Ms Ukachukwu and Ms White began the discussions by asking the panellists to introduce themselves and share self-care tips. Some self-care tips mentioned were journaling, committing at least one day per week solely for self-care, physical exercise, and being selective with one’s time and energy in responding to racist comments. During the remainder of the discussion, panellists were asked to respond to a series of anonymously submitted prompts and scenarios, including descriptions of macro- and microaggressions, from the audience. During the Q&A portion, panellists provided witty, charming, and data-centric responses. Once such response came from Dr Jones when asked to react to the statement that students of color win grants because of their race. Dr Jones replied with data: grants are awarded for good science and certain minority-serving grants were often more competitive than at-large fellowships. Having served on numerous fellowship committees, he said that he never witnessed anyone win a grant because of their race and sarcastically added that if such a grant existed, he would like to know so that he could apply for funding to which the crowd responded in laughter. The second half of the event consisted of seven Faculty-led small group sessions where Ms Ukachukwu explained that her vision for these small groups was to provide an opportunity for trainees to practice responding swiftly, powerfully, and effectively to racially charged comments. 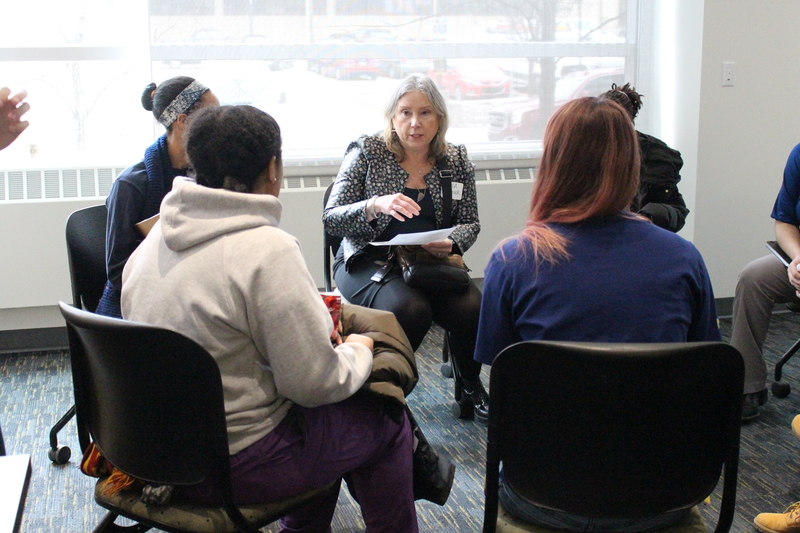 Participants listened attentively as faculty discussed how they navigated challenges throughout their careers which resulted in numerous follow-up questions. Although the event was scheduled for 90 minutes, it was clear that more time was needed as attendees were heavily engaged in passionate discussions up until the very last minute. 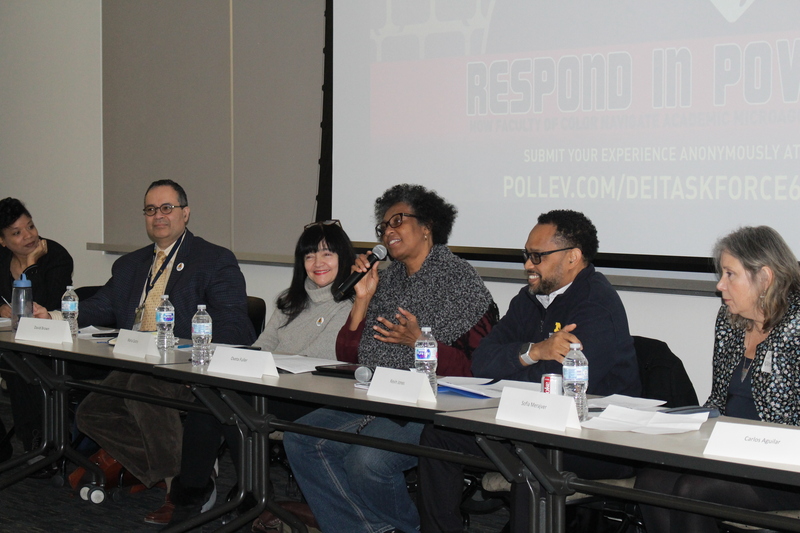 At the end of the event trainees of color expressed their gratitude for the event, the opportunity to see themselves reflected in the faculty panel, and requested that similar events be hosted more frequently. Non-people of color (POC) shared that they were grateful to learn about the challenges that minorities face in academia and were motivated to actively participate in improving spaces for POC. Post-event feedback surveys were sent to participants and thus far, all have indicated that they were very satisfied with the event and found the information useful and relevant for their profession. 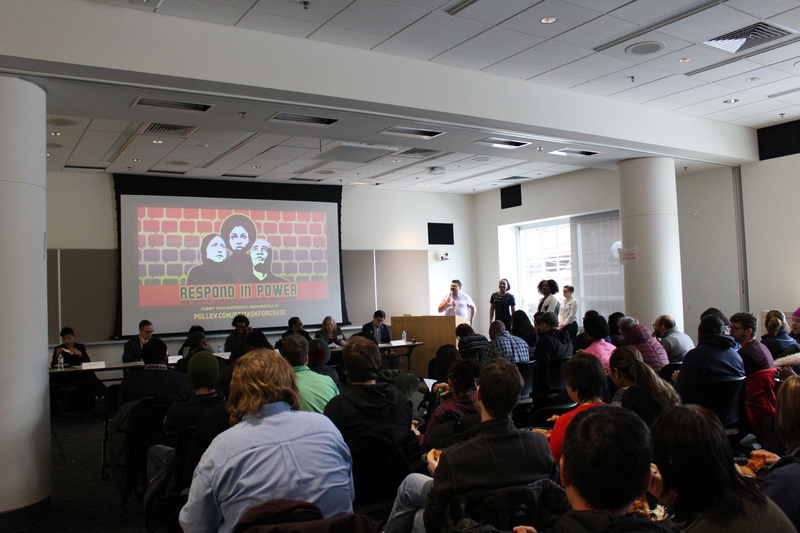 Overall, the event was a huge success and provided a space for trainees of color to be uplifted and supported by faculty while also educating non-POC about how they can contribute to building an inclusive space for everyone.